Barça Lassa went down fighting in the semi-finals of the Endesa Super Cup (76-79) in Santiago de Compostela. After a tight first period, Baskonia gained control in the second. But the Catalans never let their heads drop and kept battling through to the final second. Cutting down as 20-point deficit was no mean feat, and they eventually only lost by three, with the new inclusions to the squad all doing their bit and performing well. 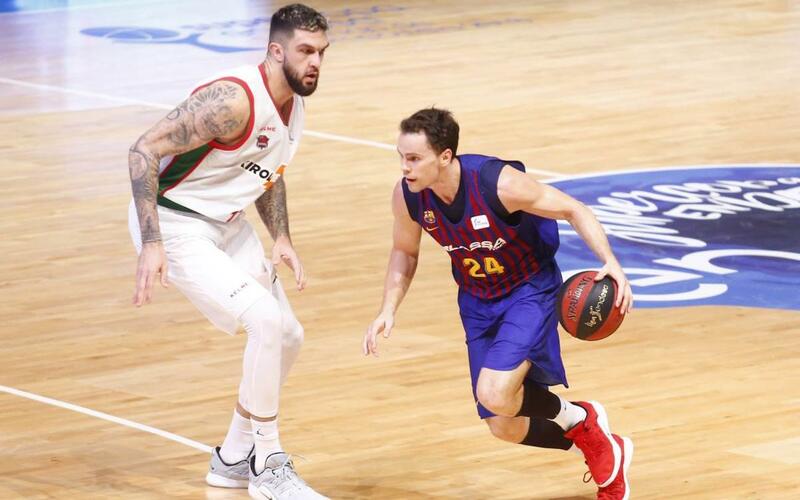 Indeed, Kyle Kuric matched Garino on 16 points to lead the blaugrana scoring. In particular, the former Louisville Cardinal produced some fine 3-point conversions, and will be taking part in the 3-pointer contest on Saturday. The ever-combative Oriola, together with Smits, truly carried the team as it clawed its way back into the match, and special mention also must go to young Aleix Font for his defensive intensity. And although the comeback was never completed, what really mattered was the way the team responded in times of adversity. As the new players settle more into the Barça rhythm of things, we can only expect that to get better and better. But it's Baskonia who go on to meet Real Madrid in Saturday's final.